He joined the Columbans in 1991 and was ordained in 1999 when he was 32. 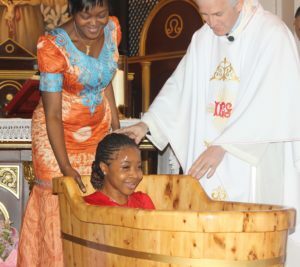 After serving in St John’s Parish in Limerick city for a year, in 2000 he was sent to China, where he has ministered ever since. 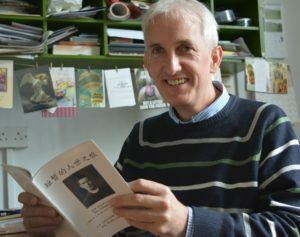 When he was home recently on a visit, he brought with him a newly minted copy of the first Chinese language edition of ‘A Journey Too Short’ on Fr Charles Cullen (1897-1923), one of the early Columban missionaries to China, a subject he is deeply interested in. Even after sixteen years in China, Fr Dan continues to reflect on why he is in China and the real meaning of his presence in the country. 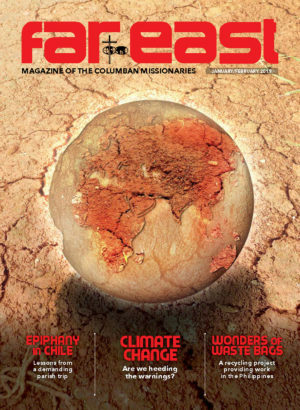 “It has to be a faith-based understanding. In spite of any publications we might do or stories we might write or projects we might engage in – it is all a drop in the ocean in terms of the scale of China. 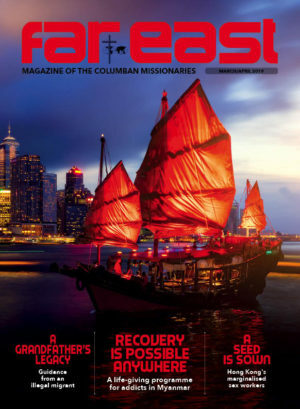 If we just disappeared in the morning, China is not going to miss a heartbeat.” He believes that the presence of people from overseas communicates how the Universal Church is deeply concerned about the Church and the people of China.